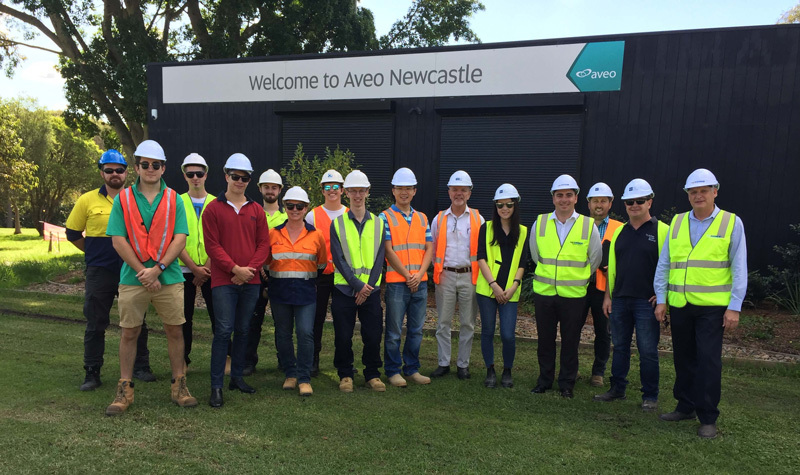 Last Friday 5 May, MJH Multi hosted Construction Management students from The University of Newcastle at its Shortland Waters Retirement Village, a development by Aveo. The site visit provided an opportunity for students to learn about the construction materials, techniques and processes used in the building of homes from start to finish for both single level homes and apartments. 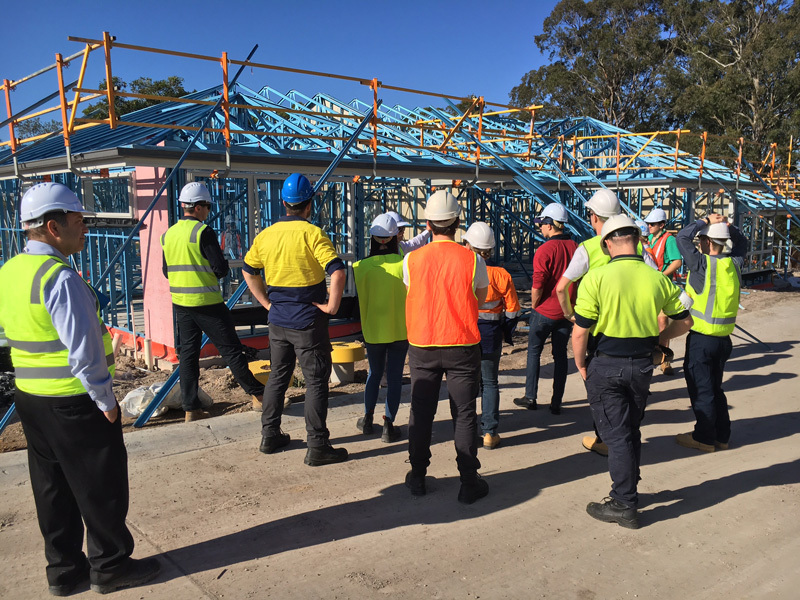 The staff from MJH Multi and our client Aveo were available to explain all aspects of the construction of the project and answer any questions that students had. The 50 Independent Living Units, Villas and Apartments in construction are being modified to achieve suitable accessibility requirements for senior’s independent living and complies with the NSW State Environmental Planning Policy (Housing for Seniors or People with a Disability) 2004.